Pilot zone for the use of unmanned aircraft systems in the framework of the Federal project "Taiga" will be created in the Tomsk region by the Foundation for advanced research, which is a key participant of the project. "In December 2018, the first stage of the project was completed, during which the analysis of the current and future needs of state and commercial organizations in the works and services performed with the use of unmanned aviation systems was carried out," the press service said. The Russian market of companies working in the field of development and application of unmanned aerial vehicles (UAS) and their modern capabilities and potential were also analyzed. "The next stage of the project will be the design of the ground and information infrastructure of the experimental area, the development of proposals to improve the legal and regulatory framework in the field of unmanned systems," the Fund said. 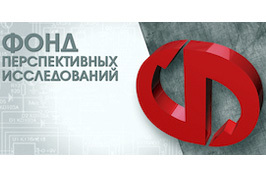 The Federal project "Taiga" involves testing of technologies and regulatory approaches for the delivery of goods and other works with the use of BAS. The decision to launch this Federal project was made by the interdepartmental working group of the Board of the Military-industrial Commission in July 2018. The topic of "drones" is one of the most relevant for the military-industrial complex and the civil sector of the economy. The project, according to its authors, is aimed at the integration of unmanned systems in the production and social sphere.